Is Hastings Really ‘H’ in Line of Duty? As Line of Duty has slowly progressed from the initial series, the conspiracy of a rogue network of police officers conducting nefarious operations for personal gain has slowly picked up momentum. A high point was back in the third series when Dot Cottan was explosively outed mid-questioning as one of these officers, and in the moments before his death named an individual running the network as ‘H’. So far in the series we’ve been introduced to a variety of characters that simply by their namesake could be the ringleader. 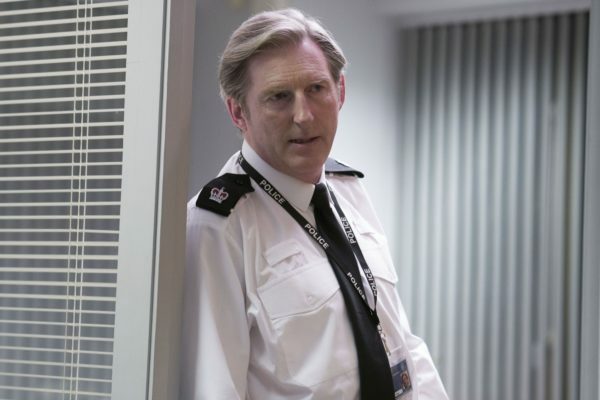 The third episode only threw more evidence at the man leading the charge against corruption, but might secretly be in on it; Ted Hastings. Could he really be ‘H’? 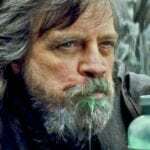 Warning, spoilers ahead for all episodes so far! From the very beginning, Hastings has been an enduring beacon that symbolised the very essence of duty; putting everyone else first no matter the toll it takes on your personal life. And after a disastrous financial investment that led to the destruction of his marriage – it’s fair to say that his personal life is in shambles. The series tells us very early on that officers with financial difficulties are prime candidates when it comes to be turned, as being bribed with cold hard cash isn’t easy to turn down. Aside from his surname directly relating to the codename, the latest series has already thrown us morsels of evidence that Hastings could be the real villain. Cast your mind back to series four and DCC Hilton. He was another corrupt officer that blackmailed a member of AC-12 into handing over sensitive information in their investigation. He was later found murdered in an area linked with previous deaths connected to the organised crime gang, and Hastings immediately dismissed it as suicide even though it was obviously staged. Towards the end of that series there was a violent stand-off between one of the Balaclava Men with a hostage and a group of armed officers led by Hastings. Rather than incapacitate the criminal and interrogate him, Ted swiftly shot him in the head. Come on Hastings, he was surrounded by automatic rifles – he wasn’t going anywhere! Obviously this could have just been protective instinct, but he might’ve been covering his tracks too. Fast-forward to series five and we’re introduced to an undercover operative, John Corbett (Stephen Graham). He and a member of the organised crime gang with connections inside the police force are talking to H through instant messaging. 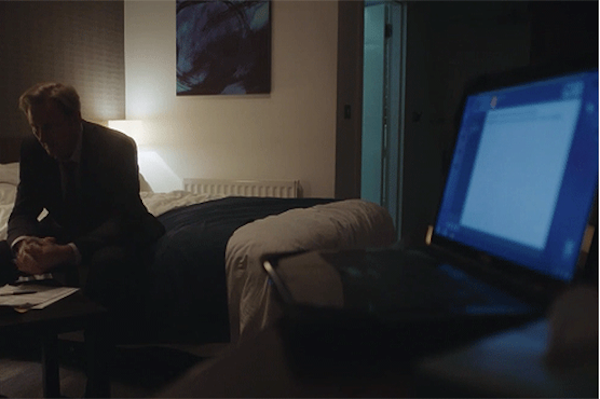 The episode quickly cuts to Hastings’ hotel room with a laptop open on the very same IM software. Albeit, we can’t see what’s written onscreen – so this could be a red herring. A similar visual tactic gets used after Lisa McQueen’s phone is ringing and we’re shown Ted ringing a number that never picks up. Let’s not forget that when a member of the gang is interrogated at AC-12 and is shown a number of suspects to see if she can identify ‘H’, Ted looks absolutely terrified. He’s pacing around his office before the operative dramatically picks out a picture. Who she picks isn’t revealed until the next episode (it’s Dot Cottan), but Ted looked like he was about the pass out… Something bothering you Hastings? Is he directly responsible for running their operations in the brothel and the print shop? After all, an unidentifiable man was spotted at the brothel wearing a dark blue mac with a white shirt underneath and a cap on – maybe Ted showed up because he couldn’t get hold of his operative. Combine that with the fact that Hastings quickly ordered a raid on both buildings not long after, and the evidence of his involvement is quickly beginning to pile up. The Superintendent was the one to make sure Kate and Steve weren’t at the Police depot by ordering them to attend to a ‘status zero’ situation close by. This allowed the gang to make a quick getaway with fifty million pounds worth of contraband. Is it any coincidence that a senior member of the network then shows up to the depot to remove all the tracking devices on the contraband that the group were going to steal? Seems too good to be true. But after a sudden violent outburst – the senior officer was served up on a bloody platter; DCS Hargreaves. It isn’t confirmed (yet) whether AC-12 think he’s really ‘H’ or if he’s just a senior member in the chain. 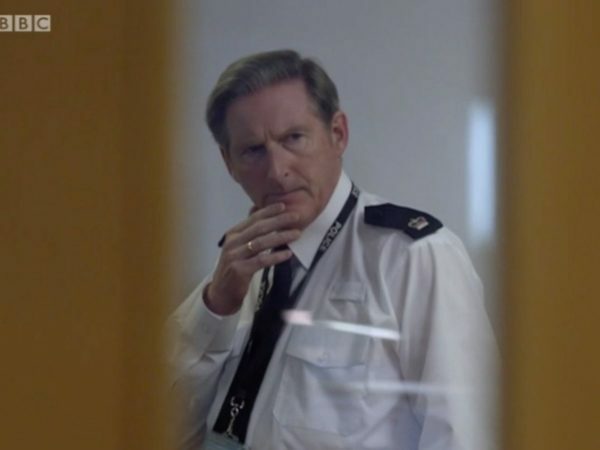 Let’s face it when we’ve met him before in previous seasons, Hargreaves hasn’t been the most intelligent of officers, it’d be very surprising to see him suddenly be able to lead an entire network of covert and corrupt officers. Could the series be cleverly misdirecting the audience? Line of Duty is all about deception, so it wouldn’t be surprising if there’s a reasonable explanation for everything going on here. Cue; extra long interrogation scene in the office from Arnott and Fleming very soon. Someone get him on a reg-15!